Keeping your ATV in good condition doesn't have to be a chore - in fact - it doesn't even have to take too much time. To get you started, Progressive Products has put together a few starter tips to help keep your ATV up and running when you need it. If you're surprised this is on the list - don't be. While the internet is a treasure trove of information, nothing beats the information provided directly by the manufacturer, specifically for your ride. Take some time to give it a read; it won't take too long and the information included could give you important maintenance requirements. Yeah, keeping it clean makes it look nice, but more importantly, it prevents dirt and dust buildup which can lead to serious rust or damage to the body of your ATV. Additionally, if this build up occurs around your engine then you could be looking at very avoidable engine wear or damage. The perfect complement to keeping the exterior clean is its interior. Check with your local store and make the switch to Amsoil Oil in Lynnwood. Synthetic oil can greatly boost the ability for your engine to stay clean as you ride, extending its performance and lifespan. Along with this, pay attention to the manual for any specific engine break in advice. If your manufacturer insists specific tasks be undertaken before heavy riding, it's for a reason. 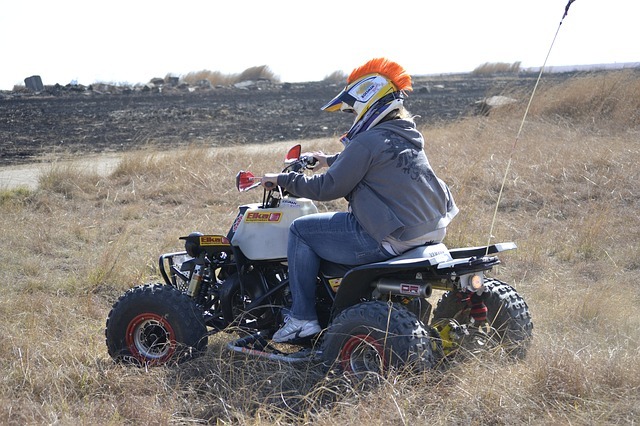 When you've finished your ride and cleaned up your ATV, keep it stored in a dry and well ventilated space. If you must store it outside, provide as much shelter as possible and invest in a high quality cover that can provide adequate protection while allowing sufficient air flow. If you're giving your ride a tune up and you notice the levels are a bit low, top them up straight away, or if it's been a while, replace them. Progressive Products is your local distributor of high quality Amsoil Oil in Lynnwood and can provide great advice on the right oil for you. Give us a call on (425) 483-2582 and ask about how synthetic oil can extend the life of your ATV and car.